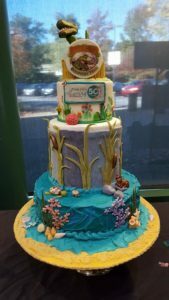 Fifty years ago, the Junior League of Hampton Roads and the Warwick Rotary Club, along with founder Harry Wason raised funds and partnered with the City of Newport News to create the Peninsula Junior Nature Museum. 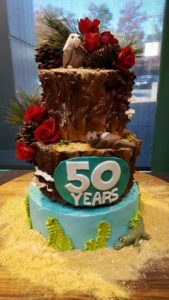 It’s purpose was to teach Virginia children and families about the natural world and conservationism. Our partnership with the VLM has continued through the years in an effort to improve educational experiences for the community. 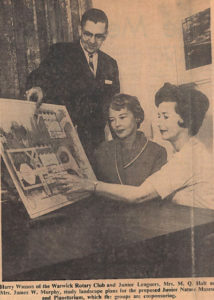 Founder Harry Watson and JLHR Sustainers Mary Sherwood Holt and Lois Bowman, 1965. 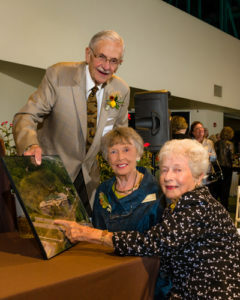 Watson, Holt, and Bowman at the Founder’s Reception in 2015. 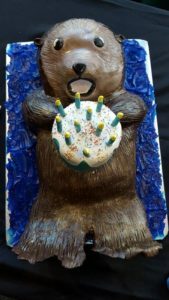 To celebrate their birthday year, the VLM offered fifty cent admission to the museum for everyone in the community, as well as fifty cent planetary shows. 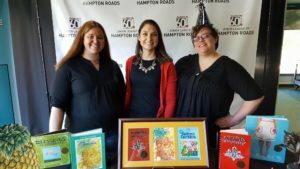 In addition, the Junior League of Hampton Roads partnered with the VLM for a birthday celebration and cake contest. 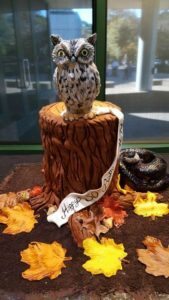 Twelve local bakeries donated cakes celebrating the museum and the education that they provide to many children on the Virginia Peninsula. 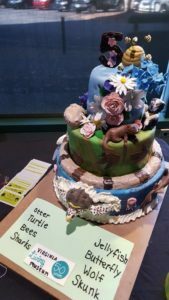 Museum visitors were able to cast their ballots for their favorite cake, and winners were announced by Vice Mayor Tina Vick. Congratulations to all winners, and thank you to everyone who came out to celebrate with everyone at the VLM!